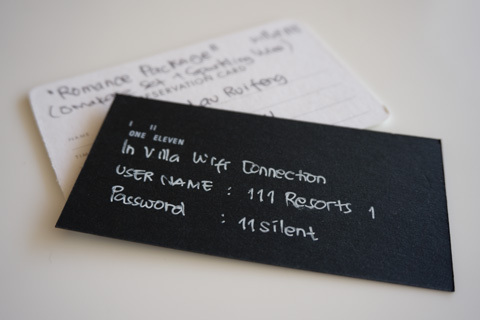 We checked into One Eleven with great anticipation, anxiously looking forward to our 2-night stay after the gorgeous pictures of the private pool villas seduced our minds. 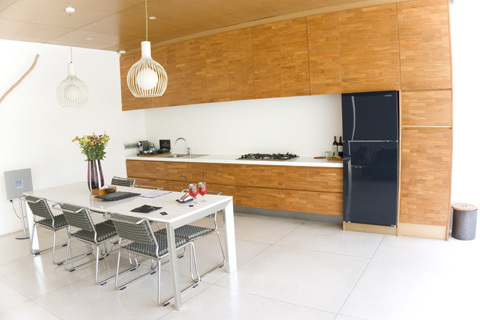 The design of One Eleven is minimalist, but our approach to service is anything but. We’re all about indulgence. 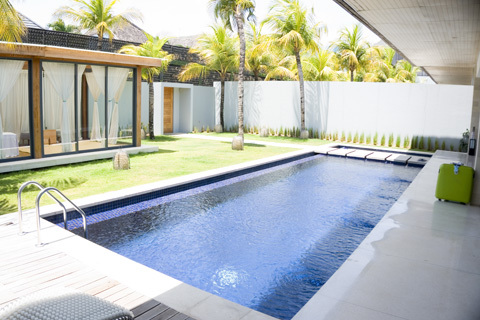 Instead of coming from the Ngurah Rai (Denpasar) International Airport, we travelled a mere 2-minutes from the nearby Amana Villas from which we have just checked out of. The complimentary transfer arrived right on the dot, and we were whisked away in a vehicle which inherited the traits of One Eleven – minimalist but functional. 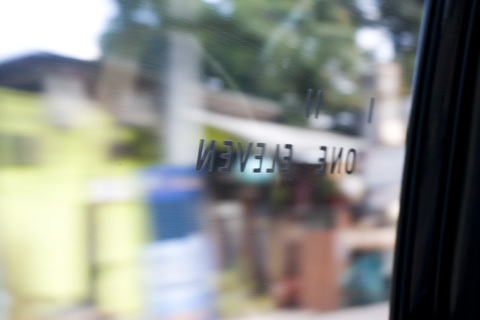 Even the wordings on the windows are pretty tiny in comparison. I didn’t even realize we had arrived at our destination. 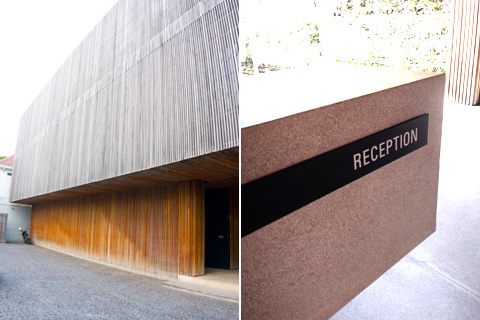 From the exterior of the building, one would have no idea of what to expect behind the zen-like facade. Knowing that the official check-in time was 2pm, our original intention was to leave our luggage at One Eleven and head out for lunch. We figured it would be just nice for check-in by the time we’re back. Lucky us! Our villa is ready and we were able to have an early check-in! 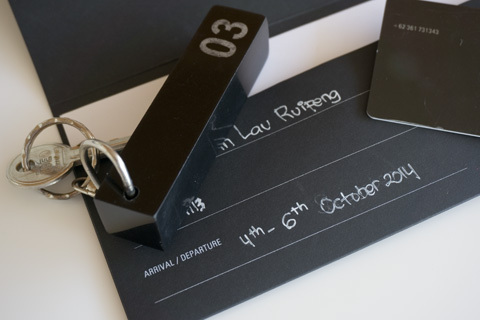 Check-in was done at the reception counter (instead of in-villa), but it was fast and straight-forward. Within minutes, we were happily seated on a buggy which transported us and our luggage to our home for the next two nights. There are a total of only 9 villas in One-Eleven, all of which are adult-only (important point, please take note as guests with children would be turned away) which ensures exclusivity and privacy. Such luxury, even though it was only 20-metres or so from the reception area to our villa. 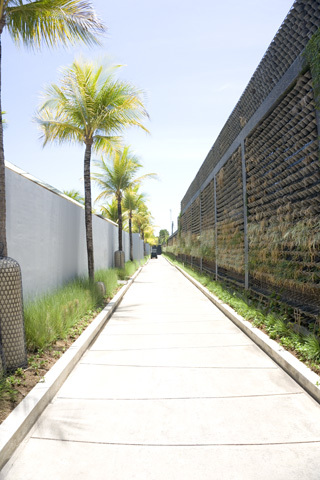 On the right is a vertical garden of potted plants which serves as a privacy screen against the neighbouring property. Some of the pots need to be replaced though – Bali must be too hot for the plants! As the heavy wooden door swung opened, the first thing that came to my mind was the vast expanse of space – the villa was freaking huge! A pavement passes through the garden and leads straight to the villa. 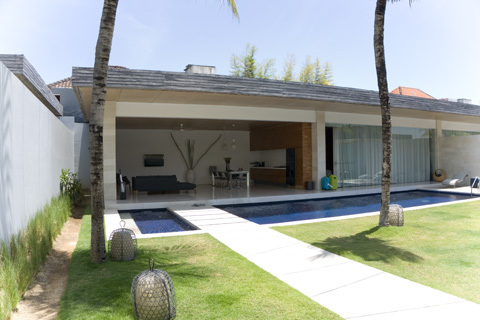 We didn’t want a traditional Balinese design and specifically looked for villas with a modern look. 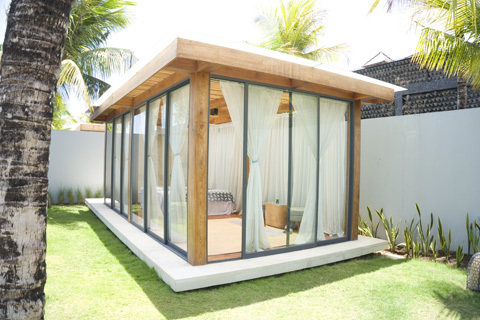 At one corner of the villa compound is a standalone structure which serves as a private spa gazebo if you wish to take up any massage services. Interestingly, the enormous living area is fashioned with an outdoor concept that was refreshing. Without air-conditioning, the job of ventilation and cooling is left to the single unit of ceiling-mounted fan as well as mother nature’s gentle breeze. A variety of reading materials have been provided. 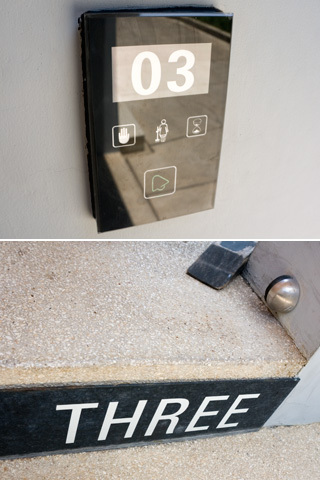 At the outside of each villa is an electronic panel that indicates the status of your villa. Controlled from the inside, you simply tap to indicate whether you desire total privacy or you require housekeeping attention. Notice that the third option says “Please Wait”. Pretty handy to have this, you know, just in case you need a little time before you can open the villa’s door. 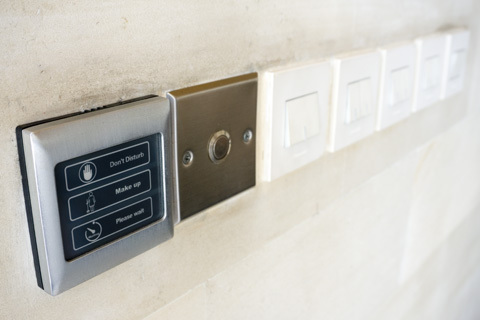 One thing about the villa’s door – considering that the villa is so big, three door-release buttons (stainless steel panel below) have been positioned throughout the villa to save you from a bit of walking. Clever, huh? 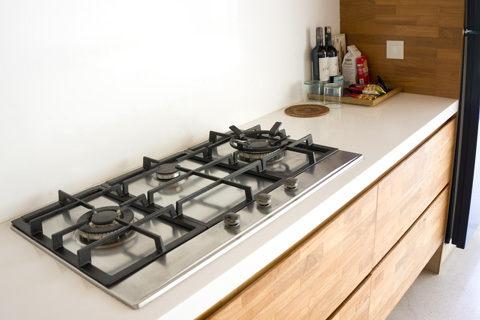 Cooking enthusiasts would be delighted with the fully equipped kitchen. On the left of the picture, you can see a Yamaha standing-speaker. While not exactly big in size, it does a decent job of projecting music which can be easily overheard by your adjacent villas. Be nice when using it. Shan and I were mildly amused by the choice of music from our neighbours one morning. Turning on our own speakers quickly drowned out theirs and all is good. 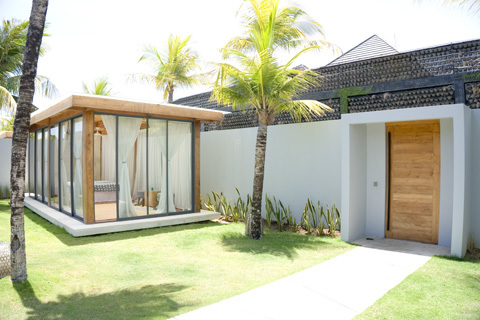 Guests in each of the 350 square metre villas enjoy a “maxibar” (i.e. fridge) stocked with full-size bottles rather than a mini-bar. 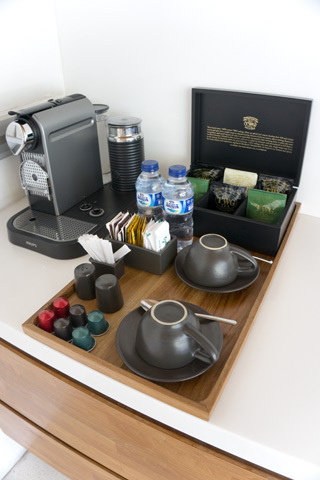 Complimentary Nespresso machine. Drink to your heart’s content! For non-coffee drinkers, TWG tea bags are provided as an alternative. Instead of providing travel adapters, One Eleven has come up with an extremely clever solution of providing juice to all our power-hungry devices which One Eleven has termed as the Charging Station. 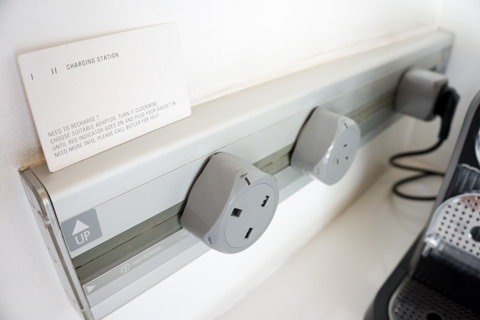 This is an Eubiq power-outlet – I have one at home too. The entire horizontal strip is actually powered, and it can take in numerous removable adapters. Simply slot it in, and turn to activate the power. 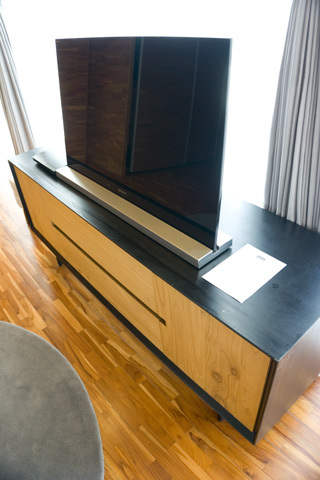 There is another Eubiq power-outlet in the bedroom from which you can use the adapters as required. A shot of our wonderful, 14-metre long pool that you can actually SWIM in! Now, that’s what I call a pool villa. 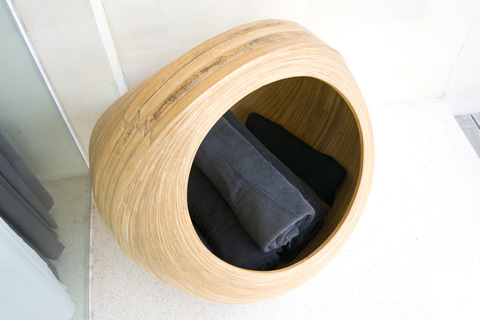 Chic pool-towel holder. The resort staff will gladly replenish this for you daily. Shortly after entering the villa, our butler gave us a short tour of our villa and briefed us important information to take note of. 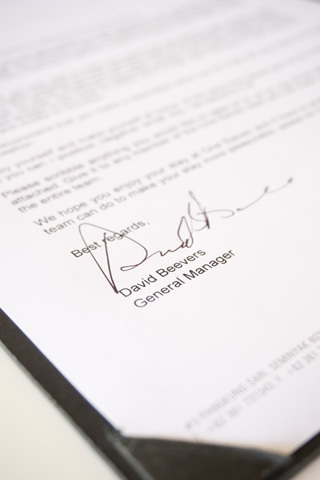 A welcome letter from the resort GM – David Beevers – whom I think we have met at the reception area when checking in. 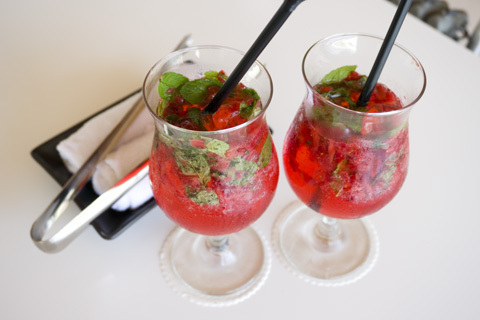 A nice drink and wet towel to get us comfortable – certainly a good way to start our stay. A little surprise awaited us when our butler told us that it would take a couple of moments before the massage therapists arrive to give us a foot scrub/wash. We were led to the private spa gazebo (there is one in each villa’s compound) which looked stunning with wooden beams, white curtains and Tiffany-blue tie-backs. Fully equipped spa gazebo right in the privacy of your own villa. The foot scrub, which was a simple and short procedure, was lovely and kind of symbolizes the official start of our stay at One Eleven. 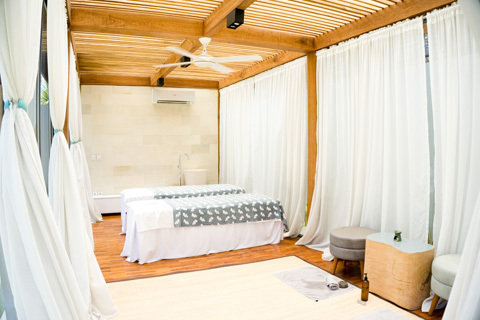 While brilliant in concept and design, the practicality of having a little glass house for massage in tropical Bali presents a potential problem – it can get a little warm inside. Especially from late mornings to the afternoon. The ceiling fan and air-conditioning seemed incapable of cooling the spa gazebo. To be fair, the resort is aware of this issue and our butler recommended that our treatments be done during early mornings or later in the day. 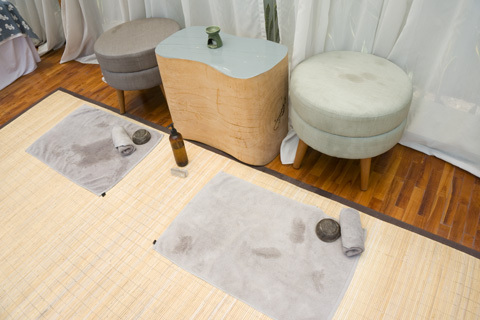 Our stay at One Eleven came bundled with 2-hour spa treatments. We chose to do 1-hour each on two mornings from 8:30am to 9:30am, and both days we felt that temperature was comfortable. 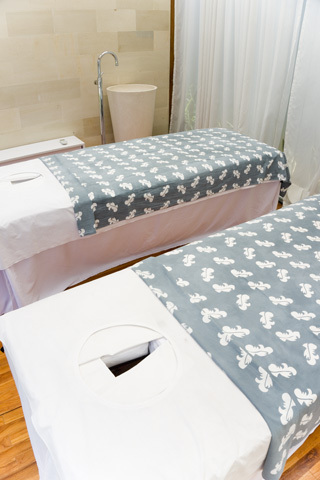 We enjoyed both the Essential massage and Balinese massage. However, the background music, an important component of a spa treatment, was lacking in quality as it was played out of an iPod Touch. Perhaps they could have used a little iPod Dock instead to enhance the experience. 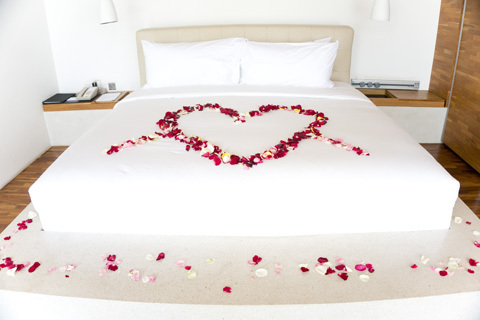 Yet another of our favourite part of the villa – the bed was so, so comfortably. Especially the pillows! What can I say – a very large wardrobe instead. Perhaps people really do stay here weeks at a time. 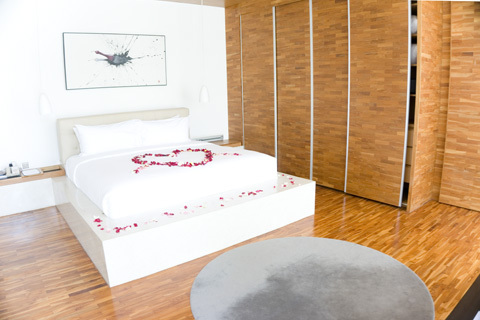 A recurring theme found throughout the villa is spaciousness. The luxury of space is found in abundance here, something which is sorely lacking back at home. Complimentary set of in-house toiletries by One Eleven that is very simply labeled. They have even included sun-block and cooling gel, which was nice for sunny Bali. 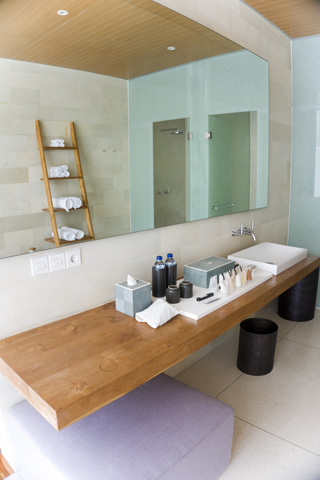 Anything you remove from the toiletries “dock” would be generously replenished by the housekeeping staff. Mosquitoes is a common problem in many parts of Bali so it would do you a world of good to keep this spray in your bag wherever you go. Use it! 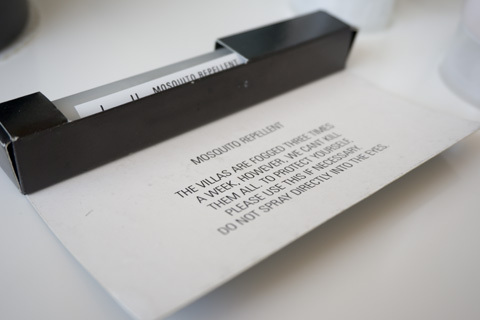 Within the villa itself, mosquito coils and electronic insect repellent are used to keep the bugs away. 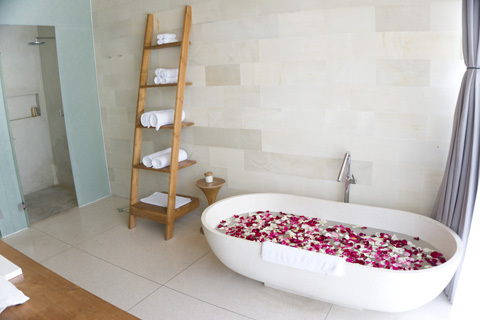 Once again, a very nice touch to have a rose-petal bath prepared for us. 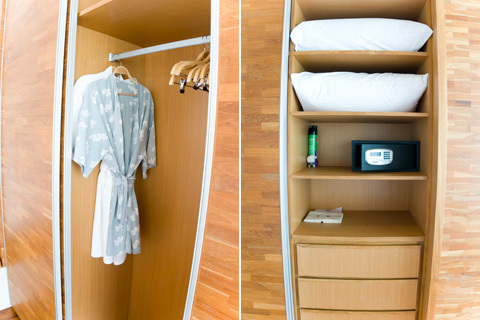 Minimalist and functional cubicles for WC and rain-shower. I shall leave the dining experiences, such as in-villa breakfast and Shiro’s omakase dinner, for another blog post. 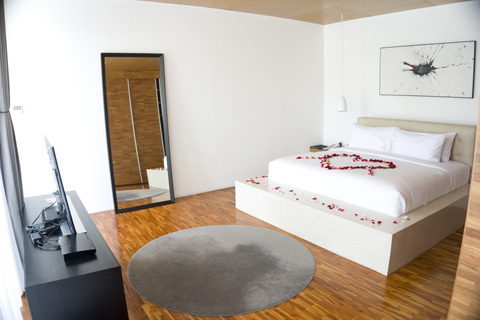 One Eleven is an exceptional resort with exclusive pool villas that brings all the action into your own villa. The level of service is excellent and attention to details is amazing. Arrangements made e.g. breakfast selection and timing, spa appointments were executed precisely. Usually, we try not to trouble One Eleven’s staff but on the occasions that we did, they have helped us tremendously such as arranging drop-offs and pick-ups at Seminyak and making reservations for Ku De Ta. We had a late flight on our last day in Bali and thus requested a late check-out if possible. Unexpectedly, One Eleven generously extended our check-out time by FOUR hours!! As a relatively new property, things are mostly in pretty good condition. Shortcomings that I have mentioned are pretty minor in nature and not exactly deal-breakers in my humble opinion.